Each year executive branch agencies in Colorado adopt over 500 sets of rules creating at least 16,000 pages of rules and accompanying materials. That’s a lot of rules! 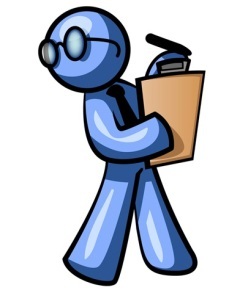 And every one of those rules, along with the corresponding materials, is read and analyzed by a staff member of the Office of Legislative Legal Services (OLLS). Through this rule review function, required by statute and performed by the OLLS and the Committee on Legal Services (Committee), the legislative branch oversees executive branch agency rule-making. In this example of the checks and balances between the legislative branch and the executive branch, the General Assembly reviews rules adopted by state agencies to find any instances where an agency has adopted rules that do not comply with the agency’s statutory authority or where rules conflict with state or federal law. When problems are found, the General Assembly takes steps to “check” that action by eliminating the flawed rule. The State Administrative Procedure Act (APA) requires each state agency to submit every rule that it adopts or revises to the OLLS for review under the supervision of the Committee. The standard of review is based on language in section 24-4-103 (8) (a), C.R.S., which states that “No rule shall be issued except within the power delegated to the agency and as authorized by law.” This means that when the General Assembly enacts statutes that delegate to a state agency the power to adopt rules, those rules must conform with the power delegated to that agency, must be authorized by the law, and must not conflict with the law. The vast majority of rules meet these requirements and the Committee and the General Assembly do not have to take action regarding them. But sometimes a rule fails to meet one of these requirements. At that point, the Committee and the General Assembly turn to the process laid out in the APA. 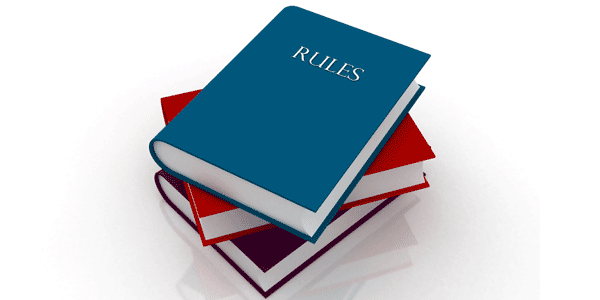 The APA establishes a year-round cycle for reviewing rules. Under section 24-4-103 (8), C.R.S., rules adopted during that one-year period (from November 1 through October 31) automatically expire on May 15 following their adoption, unless the General Assembly extends the rules by passing a bill. The bill referred to in the statute is the annual Rule Review Bill, sponsored by the Committee. The Rule Review Bill postpones the automatic expiration of these agency rules, except for those rules listed in the bill that the Committee has determined should expire because the rules 1) lack statutory authority, 2) exceed statutory authority, or 3) conflict with a state or federal statute or constitutional provision. If the OLLS staff finds one of those three grounds for challenging a rule, the staff contacts the agency to discuss the issues with the rule. If the agency disagrees with the analysis or is unable to fix the problems identified with the rule, the staff schedules the rule issue for a hearing before the Committee. The OLLS staff writes a memo for the Committee explaining the staff’s analysis, and the agency may also submit a memo to the Committee. At the hearing, the Committee hears from the OLLS staff and from the agency and takes public testimony. At the conclusion of the rule review hearing, the Committee votes as to whether the rule should or should not be extended in the Rule Review Bill. The Committee bases its decision on the legal question of the authority of the rule — not on whether the rule in question is a good or bad policy for the state. After the Rule Review Bill passes, the OLLS staff transmits the bill to the Secretary of State’s office, which removes any expired rules from the Colorado Code of Regulations. Sometimes the underlying problem with a rule is that the statute should be clarified, and the agency may seek legislation to give it specific statutory authority for the rule. Under its policies, the Committee will not introduce corrective legislation to fix rule issues. The executive branch agency must find a legislator to sponsor a bill to change the statutes and authorize the agency to adopt the rule. Another legislative oversight function that the OLLS carries out relates to tracking legislation that requires or authorizes executive branch agencies to adopt rules. In 2013, the General Assembly enacted Senate Bill 13-030 to help answer the perennial question of bill sponsors: “Did the agency ever adopt rules to implement my bill?” Section 24-4-103 (8) (e), C.R.S., requires the OLLS to identify these rules and notify sponsors and cosponsors when the agency adopts the rules required or authorized by the new legislation. This requirement applies to legislation enacted during the 2013 legislative session and sessions thereafter. An earlier article (SB 13-030 in Action: Improved Communication between Rule-making Agencies and Legislators) explained how the OLLS will notify legislators. But what if you want to know whether an agency ever adopted rules to implement a bill you heard in a committee of reference? Or what if you no longer have the e-mail notice sent to you? Any one can look up rule implementation information at any time on the OLLS’s homepage under a new tab entitled Rule Review. The OLLS is maintaining a chart, organized by committees of reference, that shows each bill for which rules are adopted. The chart also provides a link to the rule information that each agency files during the rule adoption process. Click here for a link to the current chart. Section 24-4-103 (8) (e), C.R.S., also requires the OLLS to notify the current members of the applicable committees of reference when these rules are adopted. Beginning January 2015, and each January thereafter, the OLLS will send an annual email notice to the committees of reference with the chart of rules that the OLLS has compiled.